A hierarchical model about the building conceptions of stakeholders is proposed. The model mechanism is based on bottom-up and top-down processes. Unidirectional influence of scientist to other actors is clear in the literature. Focus mainly on exchange of knowledge and not about social practices and values. Collaborative actions may overcome these challenges and enhance decision-making. Table 1. References considered from each research tradition. The distinct backgrounds of stakeholders may hinder proper communication throughout the environmental decision-making process. Several research traditions have discussed these challenges in communication, among them: research-implementation gap, environmental/ecological literacy, and science journalism (considering science journalists as connectors among stakeholders). Further, the KVP model, which focuses on the teaching and learning process of science, propose to analyze the process among distinct actors in the educational system by considering conceptions to be interactions among knowledge (K), social practices (P), and values (V). Therefore, we integrate these three traditions and using the KVP model, we present a hierarchical model to understand how stakeholders build integrated conceptions. Our model contemplates bottom-up relationships among scientists, environmental managers, science journalists, and others citizens in a context of top-down institutional constraints. In addition, we evaluate the emphasis that is put on knowledge, values, and social practices in these three traditions. Our model highlights that the literature tends to picture the relevant influence between groups as unidirectional, from scientist to other actors and that communication is primarily based on knowledge, with little acknowledgment of values and social practices. Collaborative action may overcome these shortcomings, however, because these actions are constrained by institutions, changes in these policies are paramount to pave the societal road toward effective decisions. Decision-making processes within environmental management happen in many situations and involve different actors. The government is usually responsible for regulation and inspection that occur in the environmental sector. In many cases, government managers accomplish this process. However, in certain cases, it involves other stakeholders, such as citizens, scientists, NGOs, and private consulting companies (Coletti, 2012). This participation is essential in providing effective and adequate applied actions. Participative environmental decision-making, however, is not trivial. Stakeholders should be prepared to apply and support ecological applications that are related to environmental issues (Berkowitz et al., 2005). However, each stakeholder has a distinct socio-cultural background, which provides particular distinct conceptions of the environment (Finch and Patton-Mallory, 1992; Roux et al., 2006), considering it as a result of the interaction among knowledge, values and social practices (Clément, 2006). The unique conceptions might act as a barrier for effective communication among stakeholders. Therefore, in order to achieve adequate decision-making, the challenges related to acknowledge and communicate these distinct conceptions should be faced and surpassed (Groffman et al., 2010; Hulme, 2014). Authors from different research traditions have discussed the importance of effective communication between distinct social groups (Coletti, 2012; Dickinson et al., 2010; Hulme, 2014; Irvin and Stansbury, 2004; Jordan et al., 2009; Roux et al., 2006). In ecological and environmental scientific literature, the subject is treated by the research-implementation gap, which focuses on the challenges of communication between scientists and managers that hinder the incorporation of scientific knowledge into implementation (Finch and Patton-Mallory, 1992; Hulme, 2014; Knight et al., 2008; Roux et al., 2006). In education literature, studies on ecological and environmental literacy address the relevance of citizens understanding and being able to make decisions related to environmental issues (Berkowitz et al., 2005; Cardelus and Middendorf, 2013; Mcbride, 2011; Orr, 1989). This tradition focuses on the challenges in providing that literacy to the citizens (Brewer, 2006; Lewinsohn et al., 2015). Studies on science journalism have focused on the difficulties in interactions between science journalists, scientists, and citizens, which affect science communication and consequently, the environmental literacy of citizens who may play a role in decision making (Amorim and Massarani, 2009; Nascimento, 2008; Rublescki, 2009). The literature on each different tradition offers important insights regarding the relevance and challenges of communication among distinct groups and provides methods to improve the sharing of conceptions. However, the communication across these traditions is weak, perhaps because they come from different areas. Bridging those traditions may allow the development of integrative models for improving the decision-making process. Scientists, managers, and others non-expert members of society (which henceforth we refer to as citizens) usually engage directly in decision-making, so it is relevant to focus on how to improve their conceptions by making communication more effective. Science journalists act indirectly, and are fundamental connectors which improve the communication among those groups. The interactions among individuals from these groups take place on a local scale and they represent the mechanism by which the environmental conceptions of stakeholders as a group emerge. However, individuals operate under the restrictions imposed by the rules of their institutions, which are influenced by political, economic and social contexts, and usually operate on wider spatial and temporal scales. A proper strategy to improve environmental conceptions, therefore, depends on taking into account bottom-up mechanisms and top-down constraints (Cash and Moser, 2000; Gill, 2012; Wilbanks and Kates, 1999). We propose a hierarchical model to explain the emergence of integrated environmental conceptions in groups of stakeholders that are engaged in the decision-making processes. In the context of this model, we critically review how the literature, from each of the research traditions mentioned above, conceives the interaction among social actors and the difficulties in its full development. We then suggest ways to overcome limits, and to enhance the quality of environmental decisions. Our main goal is to argue that the model we present is a fruitful theoretical resource to analyze and integrate distinct research traditions. We include in the model only a subset of these traditions; we do not include, for example, the one related to directing interactions between scientists and other citizens, although there is increasing literature on this subject (Groffman et al., 2010; Whitmer et al., 2010; Yuan et al., 2017). We considered three research traditions to formulate our model and analyze the relationship between the components. The information obtained about the relationship among groups is from the Research-implementation gap and Science journalism. The first tradition provides information concerning the relationship between managers and scientists, and the challenges and possible solutions to improve these relationships. The second tradition focuses on the relationship among scientists, science journalists and others non-expert citizens (general public). That tradition also addresses challenges and solutions with regard to the relationships among those groups. The third research tradition, ecological and environmental literacy, brings knowledge about how relevant it is for stakeholders to be literate on environmental issues and therefore, to be prepared to engage in the decision-making process. That tradition provides us information about how to reach this literacy using the relation among the groups, and allows us to better analyze these relationships. Table 1 discriminates each research tradition and the references for each tradition. References considered from each research tradition. Research implementation gap Acreman (2005); Bertuol-Garcia et al. (2017); Finch and Patton-Mallory (1992); Gregory et al. (2012); Groffman et al. (2010); Hull et al. (2003); Hulme (2014); Johnson et al. (2002); Jönsson et al. (2014); Kagan et al. (2003); Kennedy (1997); Knight et al. (2008); Lacey (1999); Lackey (2001); Laudel (2006); McKinley et al. (2013); Minteer and Collins (2005); Noss (2007); Pullin et al. (2004); Rothenberg (2007); Roux et al. (2006); Sarewitz (2004); Wallace (2012). Science journalism Albagli (1996); Allan (2011); Amorim and Massarani (2009); Baker et al. (2012); Bertolli-Filho (2006); Bueno (2010); Caldas (2004); Cavalcanti (1995); Deuze (2005); Fioravanti (2015); Firmstone (2008); Geller et al. (2005); Maia and Gomes (2008); Nascimento (2008); Pihl-Thingvad (2015); Rublescki (2009). Ecological and environmental literacy Berkowitz et al. (2005); Brewer (2006); Cardelus and Middendorf (2013); Jordan et al. (2009); Lewinsohn et al. (2015); Mcbride (2011); McClune and Jarman (2014); Orr (1989). We formulate a model using the hierarchical modeling approach (Ahl and Allen, 1996; Salthe, 1985). In our model (Fig. 1), the focal level is pertinent to the group of stakeholders engaged in environmental decision-making, directly or indirectly. The pattern explained at this level is the enhancement of conceptions that is necessary for proper decision-making. Following the KVP model (Clément, 2006) we define “conception” as the result of the interaction among three dimensions: knowledge (K), structured sets of assimilated information that make it possible to understand the world; social practices (P), the tacit or empirical ability (know-how) to act in a concrete way; and values (V), the ethic systems, opinions, beliefs and ideologies that mediate the perception of the world. The importance of distinguishing these dimensions of conception is referred to also in literature related to environmental decision-making (e.g. Hulme, 2014; Wallace, 2012). We consider that enhancement of conceptions (and not only of knowledge) should be the proper focus of our model. Three-level hierarchical model to explain the emergence of integrated environmental conceptions in groups of stakeholders engaged in the environmental decision-making process (considered the focal level of the model). Processes of interaction (arrows 1–7) between pairs of individuals (manager, scientist, science journalist and citizen) in the lower level occur in fast cycles and represent the bottom-up mechanism that results in the emergence of changes at the focal level. Policies and rules from executive/judiciary powers, research, and communication institutions in the upper level impose constraints on the mechanisms in the lower level, affecting the emergence of changes in the focal level. Individuals involved in this process are usually managers from governmental agencies eventually with support from scientists (A), but other citizens may be invited to participate (B). Science journalists are not usually directly involved in this process, but they may play a significant role by affecting the environmental conceptions of the other components. The lower organization level in our model refers to individuals: scientist, environmental manager, citizen, and science journalist. The processes of interaction among them can alter their personal conceptions related to environmental issues. This mechanism could result in the emergence of pattered changes in the focal level (enhancement of conceptions necessary to elicit proper decision-making by stakeholders). The mechanism only runs properly, however, if the spatiotemporal organization of the system guarantees that those individuals can interact. The general concept for this mechanistic model follows Craver and Bechtel (2006). The upper level refers to institutions in which scientist, environmental manager, and science journalist respond to — universities/research centers/funding agencies, executive (environmental sector)/judiciary powers, and communication companies, respectively. These professionals are subjected to constraints imposed by the general rules and policies of such institutions. Therefore, the amount and quality of interaction they may have with professionals from other sectors, and their ability to interfere in other's individual conceptions and to affect the pattern in the focal level depends on these policies. As expected in a hierarchical system, the higher the organizational level, the lower the frequency of activity cycles. Therefore, changes in conceptions in one individual (lower level), that results from day-to-day interactions with another individual, tend to be faster than the changes in conceptions of a group of individuals (focal level). Changes in the focal level tend to be faster than the changes to the policies of institutions (upper level), which are subject to economic, political, and social contexts. The upper level, therefore, is perceived as a background of the processes occurring in the lower level. The changes in the focal level (e.g., enhancement of conceptions) depend on coordinating the faster cycles of the lower level to improve their efficacy, which also might cause the long-term effects to the upper level by reducing constraints. Based on those research traditions, we identified causal relations among lower level components by defining their KVP dimensions, interaction mechanisms, and top-down constraints (Fig. 2). We then propose strategies to improve communication among individuals that could influence their conceptions. Scheme to represent how the relationship among the components at the individual level, and the pressures from the institution at the upper level (gray squares) occurs. Each black arrow represents how one component accesses the conceptions of the other. For instance, arrow 1 shows how the manager accesses the scientist's conceptions. The triangles show the KVP dimension that is related to each of the components. The knowledge (K) produced and used by a scientist, which includes theories, models, methodologies and empirical data, is important to inform decision-making and to plan management actions (McKinley et al., 2013; Roux et al., 2006; Wallace, 2012). By dealing with this knowledge, the scientist also establishes scientific practices (P), that is, know-how related to framing treatable research questions, gathering relevant information, and interpreting scientific contents (Johnson et al., 2002) that can be helpful to improve management actions. In addition, the scientist is usually concerned about epistemic virtues (V), including objectivity, neutrality, accuracy, and impartiality (Lacey, 1999). However, despite the epistemic values, the discipline of Conservation Biology, with which many scientists akin to environmental problems are involved, has to deal with difficulties of harmonizing scientific values and a conservation mission based on the assumption that biodiversity is good and must be conserved (Noss, 2007). Moreover, the socio-cultural values of individual scientists, developed along their own personal trajectory, influence their acts and ideas. Values are not usually explicit during communication, and their influences on self-conviction may even not be realized, but are usually in the middle of environmental debates (Sarewitz, 2004). Therefore, it is important for the manager to evaluate the ethical commitment with the norms of science in technical propositions of scientists in the management context, avoiding that scientific advocacy replaces democratic debate (Wallace, 2012) (Fig. 2, upper triangle). Scientist's conceptions are usually available to managers indirectly through published material, such as papers, books (Hulme, 2014), and consulting reports, and also directly in private or public consulting activities (Fig. 2, arrow 1). However, the research institutional system rewards mainly communication and interactions (within the academy) and the production of papers published in English and in specialized journals, which inhibits possible initiatives to interact with managers (Acreman, 2005; Finch and Patton-Mallory, 1992) (Fig. 2, right upper gray arrow). Such lack of interaction precludes scientists in producing knowledge that considers the specificities of application contexts faced by managers (Knight et al., 2008; Pullin et al., 2004). Moreover, as resources to develop research projects usually come from funding agencies, only projects that are considered relevant by them are supported (Laudel, 2006). Although investments in applied research may exist, the evaluation of the scientist profile by agencies is usually based primarily on measures of communication with peers. Consequently, scientists are not encouraged to interact with applied sectors (McKinley et al., 2013). In addition, if peer reviewing of projects in agencies is accomplished by scientists trained to interact only inside the academy, they would be unable to properly evaluate the application impact of projects because they do not consider application issues, or they do it without recognizing actual application challenges (Knight et al., 2008). Although the scientist may recognize that the communication with managers is relevant (Roux et al., 2006), it may not rank high in his/her priorities due to those constraints, which in turn causes a lack of understanding about the implementation of challenges. Manager's conceptions are essential to provide the scientist with a better understanding of application challenges (Kennedy, 1997; Knight et al., 2008). Managers work daily to elaborate, evaluate, and apply management actions under a usually complex, normative and legal framework. This results in the production of situated knowledge on environmental management (K). It usually remains tacit, but might be recorded in documents such as evaluation reports, rules and manuals (Hulme, 2014). Due to his/her work context, the manager develops practices (P) related to mediating conflicts of interests and managing situations in urgent contexts and during a lack of resources. Such know-how prepares a manager to make decisions and to deal with tricky situations. If the scientist perceives that contextual know-how, he/she would be able to understand challenges in management and would be to better contribute to solving them (Hulme, 2014). In addition, the manager works in contexts that involve distinct social, political, and economic interests, mediated by laws intended to provide guidelines to solve them. Such These kinds of context usually reveals conflicts of values (V) that should be negotiated: anthropocentric values, such as utilitarian, esthetic, and spiritual/religious, and environmental values, such as biocentric and ecocentric (Hull et al., 2003; Wallace, 2012). Moreover, as for the scientist and any other social actor, the manager's acts and ideas are influenced by their socio-cultural values. The acknowledgment of the wide specter of the values involved in decision-making is relevant for them to better contribute to this process (Wallace, 2012) (Fig. 2, bottom triangle). In the decision-making process, the manager acts on problem identification, through elaboration and implementation. The potential influence of manager's conceptions on scientists usually occurs via direct interactions in consulting meetings and public audiences, or indirectly, through available technical documents (Fig. 2, arrow 2). The manager faces the upper level's constraints mainly from executive power (environmental sector) and the judiciary. Most of those constraints are legal requirements that are based on the regulatory context that is defined by legislation (Gregory et al., 2012). The manager action is also constrained by political and economic pressures related either to environmental social disputes or to the urgency and lack of resources (Fig. 2, left bottom gray arrow) (Hulme, 2014; Pullin et al., 2004). As a result, the manager may have to continuously make difficult decisions in situations of intense conflict with too short of a notice (Pullin et al., 2004; Roux et al., 2006). Due to the immediacy of results and the high demands, the manager has time limitations that hinder efforts to improve his/her environmental conceptions by interacting with scientists and scientific production (Gregory et al., 2012; Pullin et al., 2004). Consequently, he/she usually continues to use a limited amount of sources, which are more easily accessed and understood, but lack scientific updates (Finch and Patton-Mallory, 1992). Most of the literature analyzed claim that communication between scientist and manager are essential and stress that the relationship must be reciprocal and iterative (Groffman et al., 2010; Hulme, 2014). However, the majority of the discussion about constraints and solutions focus on a unidirectional influence of conceptions, in which the scientist improves the dissemination of scientific conceptions to the manager, and the manager enhances efforts to access and apply scientific conceptions. The literature which suggests that the task of improving a bidirectional flow of communication between manager and scientist is a shared responsibility (Finch and Patton-Mallory, 1992; Roux et al., 2006), also sustains that: (a) the scientist should make efforts to better understand practical problems and to publish applied research in an accessible and easily understandable format, and (b) the manager should make efforts to search and understand scientific publications and apply them to decision-making (Groffman et al., 2010; Knight et al., 2008). However, such solutions disregard the constraints at the institutional level, which limit individual's actions. Solutions to overcome those limitations may take place at the individual level if we focus on the direct, rather than the indirect interactions between scientists and managers. Direct interaction is considered a fundamental tool to change conceptions because it may provide an easier and faster way to access each other's conceptions (Groffman et al., 2010). “Collaborative learning” between scientist and manager (Roux et al., 2006) can be achieved by establishing: (1) participative and collaborative projects in which both work together, from problem identification to elaboration and implementation; (2) educational activities that involves members from academy and from applied sectors and that focus on problem solving (Lewinsohn et al., 2015; Pardini et al., 2013). Collaborative enterprises can also be helpful to provide them with a better comprehension of their system of values (Minteer and Collins, 2005). That is fundamental because concepts and decisions are usually value-laden and the comprehension of values that drive their actions is crucial for improving decision-making (Hull et al., 2003; Lackey, 2001; Noss, 2007). Science journalism aims at disseminating science and technology contents to all areas of the public. Thus, it is considered to be a bridge between academia and society (Baker et al., 2012; Bertolli-Filho, 2006; Maia and Gomes, 2008). In addition, the science journalist is considered to be an educator who allows the public to learn and understand science, which contributes to improving its environmental literacy (Allan, 2011; Bertolli-Filho, 2006; Caldas, 2004). To adequately inform other people about scientific subjects related to the environment, the science journalist must be well-informed on the subject and be able to translate science conceptions appropriately to a journalistic format (Baker et al., 2012; Berkowitz et al., 2005; Brewer, 2006). Therefore, the scientist plays an important role in providing scientific conceptions to the journalist (Caldas, 2004; Geller et al., 2005). The scientist produces scientific knowledge (K) that is relevant to educating the science journalist (Maia and Gomes, 2008; Rublescki, 2009). Moreover, he/she has know-how for searching relevant information and understanding the scientific content available in the usual scientific format (P), which is essential to improve the ability of the journalist to understand the content (Fioravanti, 2015). This production of scientific knowledge (K) and practice (P) occurs in a system of values that involves epistemic and non-epistemic values (V), as we explained before (Fig. 2, upper triangle). Those conceptions are available to science journalists through the published material, but also directly through interviews (Fig. 2, arrow 3). However, as discussed in the previous section, the scientist's institutional system usually evaluates the scientist based on the quantity and quality of his/her communication with peers (Fig. 2, right upper gray arrow). Consequently, he/she puts more effort into that goal than in communicating scientific findings to a broader audience (Rublescki, 2009), although the latter kind of effort would help journalists to better understand scientific subjects. One consequence of that lack of stimulus in communicating with the general public is that the scientist is not trained to communicate properly with the media (Fioravanti, 2015). In addition, the scientist is usually concerned that the journalist may misstate or oversimplify his/her work and therefore, may avoid communicating with journalists what reinforces his/her inability to communicate effectively (Cavalcanti, 1995). Despite that pressure from the institutional system, scientists still engage and communicate with the public by comprehending and enjoying the importance of their participation in influencing the public understanding of science (Dunwoody et al., 1993). Yuan et al. (2017) highlighted that communication efforts and training among scientists has increased, however, the one-way communication from scientists to the public is still dominant. The scientist usually does not know how to distinguish audiences and fails to communicate their conceptions (Yuan et al., 2017). Science journalist's conceptions hold journalistic knowledge (K), such that the development of scientific divulgation and popularization, and practices (P) that are relevant to improve scientist's ability, reach other areas of the public. Moreover, both are embedded in journalistic values that include objectivity (Pihl-Thingvad, 2015) and neutrality (Albagli, 1996; Rublescki, 2009), as well as socio-cultural values (V) (Firmstone, 2008) (Fig. 2, bottom right triangle). The journalist conceptions are usually available to the scientist directly through interviews and indirectly through media products on television, newspapers, internet, and others (Fig. 2, arrow 4). From the institutional level, journalist's actions are constrained by media companies and their editorial interests (Firmstone, 2008), which sometimes involves political and economic values (Bueno, 2010). Even though a journalist claims to be driven by epistemic values, such as neutrality and objectivity, those constraints make it difficult to keep these values (Firmstone, 2008). In addition, editorial constraints impose a sense of immediacy to the journalist that compels him/her to publish in a short amount of time, what prevents them to put enough effort into properly adapting the science content to a journalistic format (Deuze, 2005). (Fig. 2, right gray arrow). Solutions within the individual levels have also been proposed, including efforts from the scientist to understand the importance of science communication and develop more popular projects, and efforts from science journalist to be science (and environmental) literate and consequently, to be able to publish more relevant issues for science education (Amorim and Massarani, 2009; Bertolli-Filho, 2006; Nascimento, 2008). Collaborative science divulgation projects that help to improve the communication between them may be considered a fruitful strategy because the work helps these groups to overcome cultural, social and language barriers (Groffman et al., 2010). For instance, Caldas (2004) developed a project in a course in the science journalism graduate program at the University of the State of São Paulo at Campinas (UNICAMP) that involved collaborative work between journalists and scientists to produce an electronic journal. She stated that the project allows scientists and journalists to identify the advantages and challenges of working together. The students said that it was possible to understand how fundamental collaborative work is in order to understand each other's particularities caused by distinct cultural contexts. That project also showed that the relationship among journalists and scientists has improved, but still has important challenges to overcome. By applying these solutions, the science journalist could become environmentally literate and more capable of writing about science. This would help him/her to improve citizen environmental literacy (Baker et al., 2012; Berkowitz et al., 2005). In addition, scientists must be more engaged in science dissemination and in communicating with journalists. Other solutions include ‘media training’, which prepares the scientist to communicate. For instance, interviews and projects may be useful to help journalists to better understand production in science (Fioravanti, 2015). The literature related to the research traditions evaluated here does not cover directly the relationship between the manager and the science journalist. Even though both hold conceptions that may improve the decision-making process. Manager's conceptions are fundamental to the science journalist because they provide him/her with an understanding of environmental management. Hence, a literate science journalist should be capable to understand better the environmental situations, and make useful and contextualized complaints about problems and negligence. In addition, he/she should be capable of writing about exemplary environmental achievements (Baker et al., 2012). The manager has knowledge (K) and practices (P), regarding the environmental management context (Hulme, 2014), that can help science journalist to understand the process, its priorities, and to judge what relevant material should be communicated to the citizens. The system of values (V) that involves the manager is entangled by the distinct interests involved in the decision-making process, as well as by their own personal values (Hull et al., 2003; Minteer and Collins, 2005; Wallace, 2012) (Fig. 2, bottom left triangle). The influence of the manager's conception of the science journalist happens indirectly via management project reports, models, and frameworks developed, indirectly and directly, through interviews (Fig. 2, arrow 6). Due to institutional constraints, the manager usually has a large demand for projects and limited time to develop and implement them (Pullin et al., 2004). He/she usually has to face political and economic pressures, which sometimes involves institutional’ interests (Kagan et al., 2003; Rothenberg, 2007). Hence, the interaction with the journalist usually is not a priority to him/her (Fig. 2, left bottom gray arrow). Because of these pressures, which are usually complex, the manager may avoid communicating the projects’ planning and goals to a large audience. Science journalist's conceptions include journalistic knowledge and scientific content (K) (Bertolli-Filho, 2006). The manager may want to access ecological information that is useful for management. However, the deficit of ecological useful updates is kept due to the challenges to access and understand the scientific knowledge, in the way that it is produced today (Knight et al., 2008; Pullin et al., 2004). Even with the efforts from scientists to make their findings more comprehensible, and to reach a wider public, environmental professionals need alternative ways to reach the scientific updates (Groffman et al., 2010; Pullin et al., 2004). Considering that the scientific journalism should be easy to read and understand, and considering that it should be integrated with other content (Bertolli-Filho, 2006; Maia and Gomes, 2008), then it would be an alternative way to share adequately scientific updates and to make them easily available to the manager. Science journalist's conception also includes journalistic practices (P), which are essential to understanding the context of journalism production (Fioravanti, 2015). He/she is involved in the system of values, including objectivity, neutrality (Albagli, 1996; Pihl-Thingvad, 2015; Rublescki, 2009), and also socio-cultural values. The influence of individual conceptions between them occurs through media products and during interviews (Fig. 2, arrow 5). Media products might be available through the internet, newspapers or television. Besides the time constraints at the institutional level, the science journalist is also limited by the editorial's interests from the media company, as highlighted before (Fig. 2, left gray arrow). Those constraints influence what he/she consider relevant to publish, and consequently, limit him/her time to get into other issues that might be essential to the manager. Usually, the editor decides the issue to be published according to what they think will get more of the public's attention. That practice sometimes makes the production sensational, not just adequate, to the more specialized public, such as managers (Firmstone, 2008; Rublescki, 2009). Although the relationship between these actors seems to be fundamental to create strategies to bridge them and allow that they influence each other's conceptions, it is still restricted. Perhaps if they understand their importance to each other, and the possible outcomes to improve the decision-making process, then they may start to make efforts to interact. Besides that, strategies to improve their actions involve the acknowledgment of the values necessary to provide them a clarification of their work and its limitations. The scientific journalist is not only a translator but also an educator (Allan, 2011; Caldas, 2004). The media is the primary source of science information and scientific informal education for the general public (Fig. 2, arrow 7) (Amorim and Massarani, 2009; Geller et al., 2005; Groffman et al., 2010). The journalist should be concerned with how to provide an adequate dissemination of scientific conceptions, and how to improve the citizen's scientific literacy beyond the traditional education from schools (Bertolli-Filho, 2006; McClune and Jarman, 2014). To fully accomplish this, he/she should be able to understand the origins, strengths, and limits of scientific propositions and the context in which environmental decision-making occurs, that propositions by scientists and managers should influence his/her conceptions (knowledge, practices, and values). However, due to institutional constraints that usually require daily publications and a higher audience (Fig. 2, right gray arrow), the journalist usually does not prioritize their educational function to the citizen (Nascimento, 2008). As a result, his/her products can be prepared mainly to attract attention from most of the public, but without adequate criticism about scientific relevance of the content and its impact on citizen (Rublescki, 2009). The stakeholders must be able to act properly in the decision-making, and such abilities may be improved by building integrated conceptions, which emerge from the reciprocal influence of individual conceptions among managers, scientists, citizens, and from their interaction with science journalists, who are an essential connector among them. Our hierarchical model helps us to understand the mechanisms underlying the building of properly integrated conceptions by social actors and the influences of institutions that constrain their actions. In addition, that approach might be applicable to other contexts that involve different actors and institutions. Even though it is consensual in research traditions that the communication among these groups is important, that interaction is mainly unidirectional: from the scientist providing science conceptions to the journalist and managers. Bertuol-Garcia et al. (2017) developed a review about the science-practice gap and likewise, identified a prevalence of unidirectional views of knowledge transfer, from scientists to managers within publications of Ecology and Conservation since 1900. However, scientists also have much to learn from the other groups in order to qualify his/her own work. The scientist usually is not trained to communicate scientific subjects to citizens (what could be improved by interaction with science journalists), and scientific solutions to applied environmental problems tend to fail if the very formulation of the problem lacks relevant elements from the implementation of context (which could be improved by interaction with managers). In addition, most of the literature stresses the importance of the knowledge (K) dimension in the mutual interactions among components, paying less attention to the dimensions of social practices (P) and values (V), which are known to be relevant to learning. Scientists, managers, and science journalists tend to bear distinct values and such values may not be explicit or even acknowledged in their daily activities, although it influences their actions and perspectives. Acknowledging values of interlocutors can favor the quality of the dialog and facilitate the building of integrated conceptions. The specific professional backgrounds and experiences of the individuals result in the development of distinct social practices that build particular know-how. Although usually, the professional practice of the manager, and especially of the science journalist, demands more interaction from the journalist to the scientist, than vice versa. The low level of interaction among these professionals prevents them from developing integrated social practices (e.g., know-how to produce scientifically informed solutions to situated environmental problems; know-how to produce journalistic material on relevant environmental subjects incorporating scientific and applied perspectives). Increasing the collaborative action among these actors may increase the efficacy of the mechanisms that generate integrated environmental conceptions of stakeholders. A longer and deeper interaction can improve the quality of communication, foster bidirectional exchanges of knowledge, create integrated social practices, and stimulate full appreciation for value systems of each participant, resulting in the building of more integrated conceptions. However, bridging research and implementation, promoting environmental/ecological literacy, and bringing science close to citizens depends on changes in the institutional constraints. Our model should be used as a stimulus for the institution to rethink their politics regarding stimuli for their employees that hasten these changes. It is noteworthy that the relevant function of science journalism as a communication route is to integrate the four actors. Science journalism seems to be a fundamental connector among these components, providing them accessibility to relevant conceptions from all components, and improving their environmental literacy. Through it, the enhancement of the quality of stakeholders in the decision-making process. Although scientists and managers have an important influence on citizen education, science journalism also has an enormous impact on that, and might influence the environmental literacy of the entire population. Then, an environmentally literate population might be more prepared to act on environmental issues and participate in debates. The internet, as one of the main communication modes, is used not only by Science Journalists but also by Scientists to communicate their findings through blogs and websites (CGEE, 2017). The two-way communication among the actors that is considered in our study might improve the actual usage of the internet to communicate with different audiences. However, it is notable that even if all stakeholders are environmentally literate, there is still a long road to reach an effective and complete engagement in the decision-making process. Regarding the model proposed in this study, Silva (2017) applied our model to the stingless beekeeping (meliponiculture) context. To understand the meliponiculture activity in the state of Bahia, Brazil, he analyzed relationships among the social actors involved (beekeeper, manager, scientist, and farmer) and the constraints from their institutions (financial institution, research institution, and public sector). Through that analysis, Silva (2017) discussed the challenges that are faced by this activity and proposed strategies to overcome those barriers. Based on his results, Silva (2017) presented a proposal for a legal instrument in regards to the regulation of that activity in the State of Bahia. Therefore, this study shows the flexibility and potential applicability of our model to provide fundamental insights for environmental decision-making within many contexts, by comprehending how all social actors are involved, and all feasible mechanisms and constraints they might face in that process. To sum up, our model allows for better comprehension of the communication among scientists, managers, science journalists and citizens. It also provides some possible strategies for improving this communication and in addition, we provide a framework that might support other projects that focus on the improvement of relationship understanding and constraints to this understanding. We thank PROEXT-UFBA for the scholarship, and we are grateful to Breno Brito, Leila Cruz, Thiago Hartz, Blandina Viana and Adriano Sampaio for the contributions. Linking science and decision-making: features and experience from environmental river flow setting. Hierarchy Theory: A Vision, Vocabulary, and Epistemology. Divulgação científica: informação científica para a cidadania?. Introduction: science journalism in a digital age. Jornalismo científico: um estudo de caso de três jornais brasileiros. M.J. Baker, L.F. Williams, A.H. Lybbert, J.B. Johnson. How ecological science is portrayed in mass media. A.R. Berkowitz, M.E. Ford, C.A. Brewer. A framework for integrating ecological literacy, civics literacy, and environmental citizenship in environmental education. Elementos fundamentais para a prática do jornalismo científico. D. Bertuol-Garcia, C.N. Morsello, C. El-Hani, R. Pardini. A conceptual framework for understanding the perspectives on the causes of the science-practice gap in ecology and conservation. Translating data into meaning: education in conservation biology. Comunicação científica e divulgação científica: aproximações e rupturas conceituais. Jornalistas e cientistas: a construção coletiva do conhecimento. Ecological literacy: the educational foundation necessary for informed public decision making. Linking global and local scales: dynamic assessment and management processes. Jornalistas e cientistas: os entraves de um diálogo. Centro de Gestão de Estudos Estratégicos (CGEE). A ciência e a tecnologia no olhar dos brasileiros: Percepção Pública da C&T noBrasil: 2015. Didactic transposition and the KVP model: Conceptions as interactions between scientific knowledge, values and social practices. 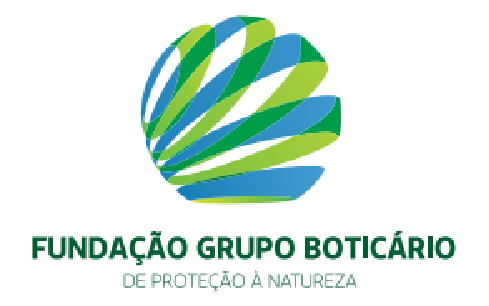 The civil society participation in instruments of the Brazilian environmental policy. What is journalism? : Professional identity and ideology of journalists reconsidered. J.L. Dickinson, B. Zuckerberg, D.N. Bonter. Citizen science as an ecological research tool: challenges and benefits. S. Dunwoody, D. Brossard, A. Dudo. Socialization or rewards? Predicting U.S. scientist-media interactions. Closing the Gap Between Research and Management. Status Manag. Neotrop. Migr. Birds. Paz relativa: Relacionamento entre cientistas e jornalistas melhorou mas ainda é possível avançar. Pesqui. Faspesp 235. The editorial production process and editorial values as influences on the opinions of the British press towards Europe. G. Geller, B.A. Bernhardt, M. Gardner, J. Rodgers. Scientists’ and science writers’ experiences reporting genetic discoveries: toward an ethic of trust in science journalism. Practicing environmental responsibility: local and global dimensions. R. Gregory, L. Failing, M. Harstone, G. Long, T. McDaniels, D. Ohlson. Structured Decision Making: A Practical Guide to Environmental Management Choices. P.M. Groffman, C. Stylinski, M.C. Nisbet, C.M. Duarte, R. Jordan, A. Burgin, M.A. Previtali, J. Coloso. Restarting the conversation: challenges at the interface between ecology and society. R.B. Hull, D. Richert, E. Seekamp, D. Robertson, G.J. Buhyoff. Understandings of environmental quality: ambiguities and values held by environmental professionals. Bridging the knowing-doing gap: know-who, know-what, know-why, know-how and know-when. Citizen participation in decision making: is it worth the effort?. B. Johnson, E. Lorenz, B.-A.L. Lundvall. Why all this fuss about codified and tacit knowledge?. A.M. Jönsson, O. Anderbrant, J. Holmér, J. Johansson, G. Schurgers, G.P. Svensson, H.G. Smith. Enhanced science–stakeholder communication to improve ecosystem model performances for climate change impact assessments. R. Jordan, F. Singer, J. Vaughan, A. Berkowitz. What should every citizen know about ecology?. R.A. Kagan, D. Thornton, N. Gunningham. Explaining corporate environmental performance: how does regulation matter?. The connection between research and practice. A.T. Knight, R.M. Cowling, M. Rouget, A. Balmford, A.T. Lombard, B.M. Campbell. Knowing but not doing: selecting priority conservation areas and the research-implementation gap. Values, policy and ecosystem health. The art of getting funded: how scientists adapt to their funding conditions. T.M. Lewinsohn, J.L. Attayde, C.R. Fonseca, G. Ganade, L.R. Jorge, J. Kollmann, G.E. Overbeck, P.I. Prado, V.D. Pillar, D. Popp, P.L.B. da Rocha, W.R. Silva, A. Spiekermann, W.W. Weisser. Ecological literacy and beyond: problem-based learning for future professionals. Para pensar o fazer e a pesquisa em divulgação científica e jornalismo científico. Essential Elements of Ecological Literacy and the Pathways to Achieve It: Perspectives of Ecologists. Promoting science literacy via science journalism: issues and challenges. D.C. McKinley, R.D. Briggs, A.M. Bartuska. When peer-reviewed publications are not enough! Delivering science for natural resource management. Ecological ethics: building a new tool kit for ecologists and biodiversity managers. Definições de divulgação científica por jornalistas, cientistas e educadores em ciências. Values are a good thing in conservation biology. R. Pardini, P.L.B. da Rocha, C. El-Hani, F. Pardini. Challenges and opportunities for bridging the research-implementation gap in ecological science and management in Brazil. Professional ideals and daily practice in journalism. A.S. Pullin, T.M. Knight, D.A. Stone, K. Charman. Do conservation managers use scientific evidence to support their decision-making?. Environmental managers as institutional entrepreneurs: the influence of institutional and technical pressures on waste management. D.J. Roux, K.H. Rogers, H.C. Biggs, P.J. Ashton, A. Sergeant. Bridging the science-management divide: moving from unidirectional knowledge transfer to knowledge interfacing and sharing. Jornalismo Científico: Problemas recorrentes e novas perspectivas. How science makes environmental controversies worse. Meliponicultura: Definições, contexto atual, conflitos e proposta e regulamentação. Values: drivers for planning biodiversity management. A. Whitmer, L. Ogden, J. Lawton, P. Sturner, P.M. Groffman, L. Schneider, D. Hart, B. Halpern, W. Schlesinger, S. Raciti, N. Bettez, S. Ortega, L. Rustad, S.T. Pickett, M. Killelea. The engaged university: providing a platform for research that transforms society. Global change in local places. S. Yuan, T. Oshita, N. AbiGhannam, A. Dudo, J.C. Besley, H.E. Koh. Two-way communication between scientists and the public: a view from science communication trainers in North America. Present address: Programa de Pós-Graduacão em Ecologia, Laboratório de Vertebrados, Departamento de Ecologia, Universidade Federal do Rio de Janeiro, Ilha do Fundão, Rio de Janeiro, RJ 21941-590, Brazil.